Tokyo: World No 1 Son Wan-Ho overpowered two-time Olympic champion Lin Dan of China at the Japan Open Superseries on Friday, while newly crowned women's world champion Nozomi Okuhara reached the women's semi-finals. South Korea's Son beat the Chinese great with a hard-fought 21-15, 21-15 victory and now faces world champion Viktor Axelsen of Denmark in the semis. Axelsen, who beat Lin to clinch the world title in Glasgow in August, brushed off a challenge from Indian ace Kidambi Srikanth 21-17, 21-17. 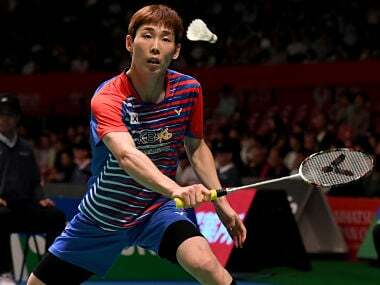 Defending champion Lee Chong Wei squeezed past fourth-seeded rising star Chou Tien-Chen of Taipei 21-11, 15-21, 21-19. The Malaysian, who has won the Japan Open six times, will face Shi Yuqi in the other semi-final after the Chinese second seed beat India's HS Prannoy 21-15, 21-14. In the women's draw, Nozomi Okuhara pleased home fans with a 21-16, 23-21 win against Beiwen Zhang, representing the United States. Okuhara is bidding to reclaim the trophy on home soil, after winning it in 2015. 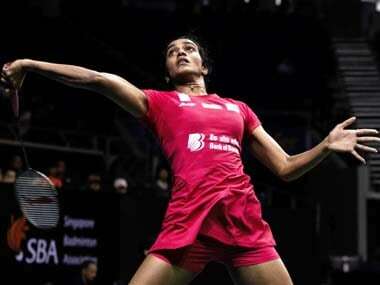 On Thursday, she beat her PV Sindhu, reprising her victory over the Indian in the world championships final. But the home fans were left disappointed elsewhere in the draw when second seed Akane Yamaguchi, the winner here in 2013, was defeated by Spanish fifth seed Carolina Marin.